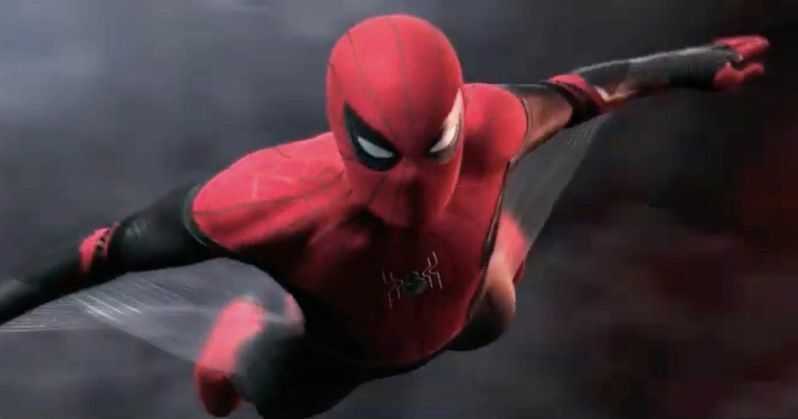 Sony and Marvel Studios have released the first trailer for Spider-Man: Far from Home. We get our first look at the return of Peter Parker since he perished at the end of Infinity War. We don't get too many answers here as to how he's back and swinging through Paris. But the footage is intriguing none the less. Since Spider-Man is still under the Sony banner, Marvel Studios worked out a deal to allow him to dip into the MCU too, making for a collaboration that keeps the quality up for both studios. It actually helps to keep things pretty fresh as well, letting Tom Holland play major roles in Avengers: Endgame and then again with his own standalone projects with new casts and characters. Spider-Man: Homecoming was a huge success and it's looking like Spider-Man: Far From Home will continue that tradition, arriving in theaters just a few short months after Avengers: Endgame. As with all trailers, the Spider-Man: Far From Home trailer is asking a lot more questions that probably won't be answered until the sequel actually hits theaters. However, there will be some further answers when Avengers: Endgame hits theaters. With that being said, Marvel Studios is keeping everything that they deem important under wraps, just like they do with every project that they put out. Fans looking for Tom Holland to go out and spoil anything from Spider-Man: Far From Home or Avengers: Endgame are going to be sadly mistaken, as he is pretty scared of what the studio will do to him. There we have it. Marvel Studios, with the help of Sony, may have possibly pulled off the best Spider-Man adventure yet, which is no small feat considering the latest animated movie Spider-Man: Into the Spider-Verse is being called one of the best superhero movies of all time, and may be a little hard to top. Thankfully, fans will have a few months in between the release dates for Avengers: Endgame and Spider-Man: Far From Home to let all the madness settle in. The new Spider-Man trailer comes direct from Marvel Studios.and Sony.